The following list of questions was developed by a group of distinguished organizations (Berkeley College Online, Online Learning Consortium, National Council for State Authorization Reciprocity Agreements, Quality Matters, and WICHE Cooperative for Educational Technologies) focused on quality online learning. See the Student Questions Document and also the Infographic. We have provided answers to these questions for our Master of Library and Information Science program. See details below. • How long typically does it take to get a degree/certificate? 69% of our December 2018 graduates reported they finished the program in three years or less (see MLIS Student Profiles). You can complete the MLIS program at your own pace, choosing the number of courses you want to take each semester. You have up to seven years to earn your graduate degree, but you could earn your graduate degree in as quickly as 12 months as a full-time student. • Does the program require me to go to the campus or other location for instruction, labs, internships, or other practical experiences? There is no requirement to come to campus at any time. Participation in internships is not required but is strongly recommended, especially for those who have no experience working in libraries or information environments. Online internships are available in addition to on-site. See our database of internship sites. • How long has the institution offered the program online? The San José State University School of Information has offered online classes since 2000. All classes have been 100% online since 2009. • What competencies and/or knowledge, skills, and abilities will I gain? Our MLIS Core Competencies are the program learning outcomes and form the foundation of the MLIS degree program. • Will the program acknowledge or credit me for prior knowledge, skills, military experience, or credentials I have in this field? What is the process for gaining that acknowledgement? Students may transfer up to nine approved units earned at other universities or other departments at SJSU to apply toward their degrees–subject to approvals. See details about transferring units. No credit is given for prior knowledge or experience, though these will be a benefit to support work in classes. • If it is an out-of-state institution, does it have the proper approvals to serve students in my state? • Who is the typical online student at this institution and does that sound like me? How flexible are the instructors with adult or non-traditional (such as adult, working full-time, or active-duty military) students? See our MLIS Student Experience page to learn about our recent graduates and how they evaluated their experience in our programs. A large proportion of our students work while taking classes and our graduates tell us that flexibility is one of our program’s top strengths. • Does the program address your time constraints? Many institutions are in their third decade of offering online programs. It’s no longer about how or where you learn, it’s about the type of learning that is right for YOU. Our program offers great flexibility in terms of how many courses to enroll in each semester and how long it will take to complete your degree. See sample scenarios that outline various approaches to completion. What Learning Experiences Are Used in the Program? • Will I learn on my own? Will I need to teach myself? All classes are taught by faculty members who interact with students each week of the course and guide their learning experiences. • How will learning take place? Will I be reading information, watching recordings of lectures, or participating in videos/simulations made especially for distance students? 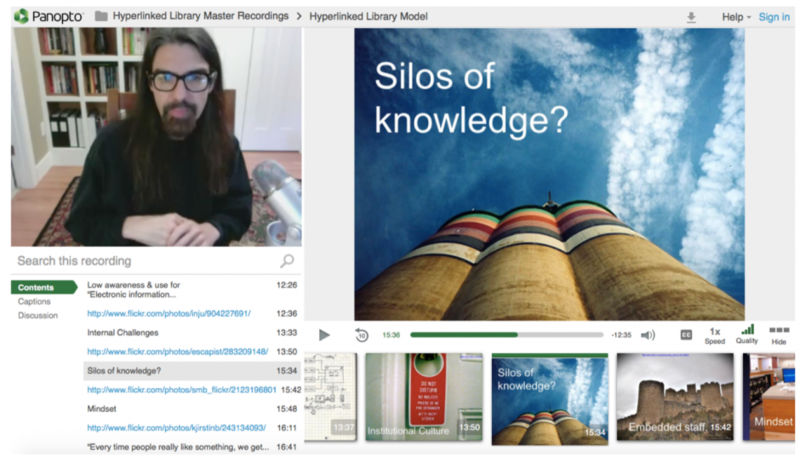 A variety of learning materials including reading (both online and in print format), recordings, and live web conference sessions are used in our program. • How many students are in the typical online class? Course sections are capped at a maximum of 35 students. Most classes will have fewer than the max. • Do the classes meet synchronously (faculty and students meet at the same time) or asynchronously (students do not have to meet at the same time)? This varies among the classes. Most classes are primarily asynchronous. Some classes have a few required synchronous sessions and these are indicated on the class schedules which are published well before registration. Many instructors offer optional synchronous sessions which are recorded for later review by those who cannot attend at the time the session is held. • Are courses primarily text-based or do they include multi-media? Each course includes some recorded content from the instructor during each week or module. The media might be a course lecture or a weekly update. Recordings of guest speakers are often included as well as other video content. Course materials vary from class to class. • Do courses use innovative modes of instruction, such as virtual reality, game-based instruction, or project-based learning? Instructors use a variety of instructional techniques and tools in their classes. All students create blogs as they begin their studies and continue to use them in some of their other classes. Instruction based on constructivist theory, including problem-based learning, is incorporated into many classes. Other tools featuring video, collaborative learning, and project creation are introduced by many instructors. • How often will I interact with faculty? …with other students? Faculty members interact with students each week, often almost daily. Discussion boards, email, instant messaging, and web conferencing are all formats that are used for communication. These tools are also used by students to connect with each other. • How are tests/other assessments handled? Am I required to go to a specific testing location or to use special testing software? And is there an addition fee or cost for this? Tests and assessments are conducted from student computers. No use of other testing locations is required. Some online tests may use features such as remote proctoring and limited time access. No additional fees are charged to students for these services. Many course assessments are project based and do not involve testing. • How is the course content accessible to those with disabilities? All course content and activity is accessible. Recorded audio content is also provided in text format. We provide live closed captioning in public web conference sessions and in class or student meetings when a need is identified. The school’s web content, including course syllabi, meets accessibility requirements. Textbook selections are posted well in advance of the start of the semester in order to allow for accommodations. See the school’s accessibility policy. • Have instructors been trained in online teaching? What experiences and/or credentials do the instructors have? Do they know how to use the course technologies? Each faculty member completes a course prior to teaching for us which prepares them to teach online in our program. In addition, all faculty members participate in our school’s ongoing professional development program. Our school provides instruction and support for using the course technologies. • Do my instructors have prior teaching experience at the college or university? All current faculty members have prior teaching experience. Read about the background and expertise of each faculty member. • Is there an online student orientation on how to succeed in distance learning? All students begin their studies in INFO 203 Online Learning: Tools and Strategies for Success. This course is highly rated by new students for its effectiveness in helping them succeed. The course includes assignment of a peer mentor to support each student during the first semester. • Is there training on how to use the technologies that will be employed in my courses? Students receive training and practice in how to use the technologies they will use in courses. • What student support services are available at a distance, such as registration, financial aid help, bookstore, library, tutoring, and advising? Do I have to go to campus for these services? We have online student support services that are well developed and responsive to meet student needs. 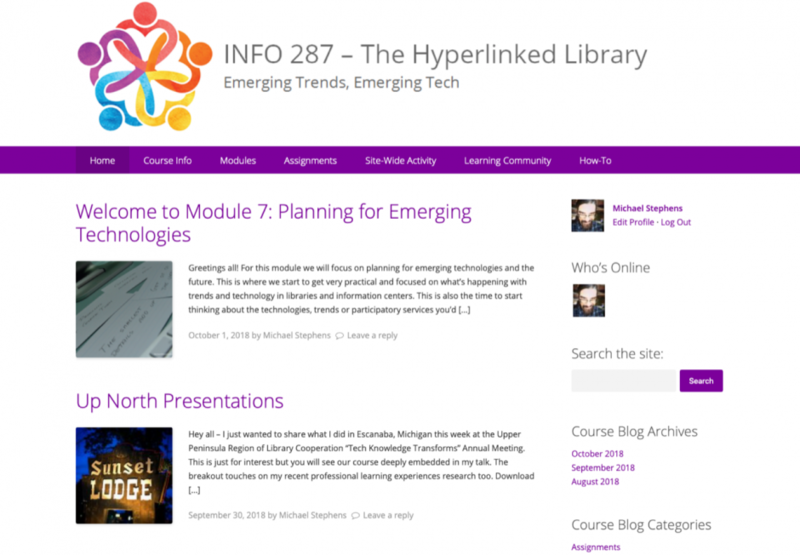 The list of Student Resources Quick Links is included in every course site for easy access. Students do not need to come to campus for these services. • If I am enrolling in a certificate or degree program, how will I access academic advising to make sure I stay on track to meet my goals? The school offers significant advising services with a combination of online documentation and individuals to address specific needs. See our Advising Overview and guide to identifying faculty advisors. Students consult with advisors by email, phone or web conference. • If I am sight-impaired, hearing-impaired, or have other accessibility needs, what services are available to assist me? The university’s Accessible Education Center provides services to help meet the needs of students who need accommodations in classes. • Are there support services for active-duty military, their families, and veterans? • Can I participate in student clubs and activities? The school has several active student organizations. Our student chapters of professional organizations have been honored for the opportunities they provide for activities and leadership. • How much will I spend in tuition? See detailed information about tuition. • How much will I spend in fees? Are there special fees I must pay as an online student? There are no additional fees for online students. See the link above for details about costs. • Am I required to pay fees for services I won’t access as an online student, such as the campus gym or parking? Students who live in the San Jose area (zip codes 939xx-958xx) pay for campus services. Students who live outside of the San Jose area are not able to use the campus services and do not pay for them. • Are there any special fees or costs, such as for proctoring, software, hardware, video cameras, or travel to campus or a specific location? There are no special fees for any of these items, though students must provide the equipment specified in the Home Computing Environment requirements. • How much will I spend on my course materials, such as books or online resources? Costs for books and other readings vary among classes. Required and recommended textbooks are listed on our web site. Many courses do not require books while others may require one or more. The library offers online access to several class texts in ebook format. • Are “open” or low-cost textbook options available? Some courses use low-cost options such as open textbooks as well as ebooks and journal articles available online through the library. • What financial aid options are available? See financial aid information on our web site. Additional information is posted on our iStudent blog. The school also offers some scholarships. • What are the specifications for the computer and software required for me to participate in my course? Students must have adequate hardware and software to support their online learning. Requirements are specified on our Home Computing Environment page. • What level of internet access will I need? As specified on our Home Computing Environment page, a minimum of 1 Mbps downstream is required. • Does the institution have discount programs for purchasing computer hardware and/or software for online students? SJSU offers free use of Microsoft Office to all students. Other software is available to students enrolled in some specific classes. • Can I participate on my mobile devices? Many of the technologies used in classes are mobile-friendly. Not all coursework can be completed on a mobile device, though, and students are required to have a computer that meets the specifications noted on the Home Computing Environment page. • Is technical support available 24/7 or, at least, the hours that I might need it? The school offers a technology support request form. In addition, the university offers an IT Service Desk with phone, chat, and email/ticket support. • Are career services available to online students to seek and be placed in jobs after graduation? What percent of students are placed in jobs? The school offers extensive career development information through its web site. The school has a career consultant who conducts monthly web sessions and is available for individual consultation. The SJSU career center offers an online job opportunity site. While the school does not provide job placements, alumni responding to a 2018 survey report that 91% were hired to the information profession within six months of graduation (see MLIS Alumni Survey Data on the Program Performance page). • Does the career services office assist entry level as well as experienced students? Career services are offered to all students regardless of experience level. • Once I graduate, will I still be able to utilize the services of the career services office? Graduates are given one year of complimentary career services. • Are all career services offered virtually or are some face-to-face? All of the school’s career services are available online. • Does the program or school have an alumni network of potential employers? Is it active? We maintain contact with alumni but alumni are not always in a position to offer employment. Positions are advertised in job lists and hiring has to follow specific organizational guidelines. Alumni often share job experiences that illustrate the diversity of jobs available to people with the MLIS skill set. See MLIS Alumni at Work. • Am I qualified to sit for a professional licensure exam in my field? There is not a standard licensure exam for the field of library and information science.